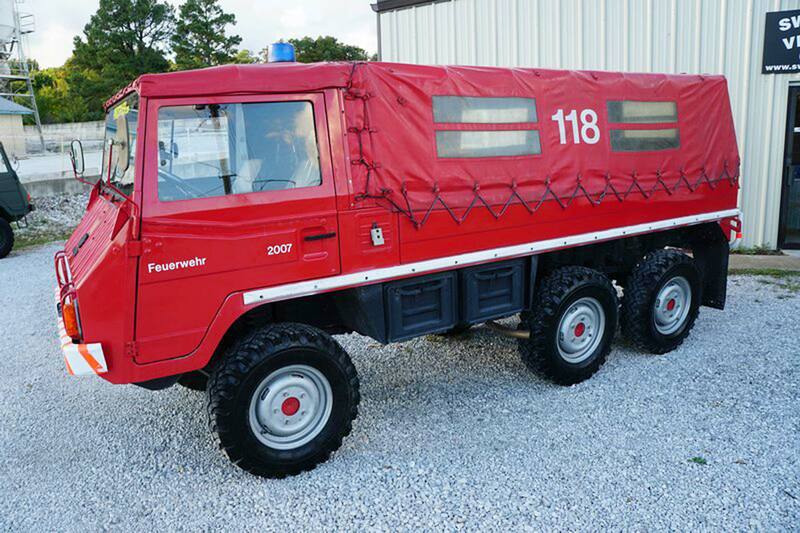 This ravishing Austrian beauty is a Pinzgauer 712M. It is indeed a fire truck, and every last one of those six wheels is powered. It has three locking differentials, portal axles all around, and a proper low range gearbox. From the NATO green paint in the bed and cab, it’s a fair bet that our thrice-axled cutie began life in the Swiss military shortly after its 1973 build date. 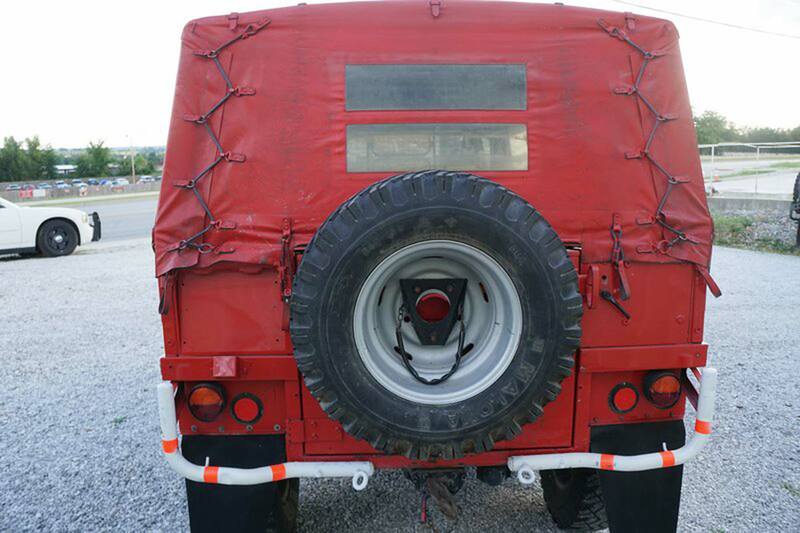 According to the importer, it’s common practice for retired military vehicles to be given or sold cheaply to municipalities for service in civilian public safety. The “Pinzie” was originally designed by Steyr-Daimler-Puch in the mid-1960s for military duty in the Alps, where the defense of freedom involved scrambling up nearly-vertical goat tracks and tip-toeing across narrow mountain ledges. Production began in 1971 on two models: the four-wheel drive 710 and the six-wheel drive 712. Letters after the numbers indicated the variant, such as “K” for five-door hard top, “DK” for crew cab pickup, and “M” for soft top with rear passenger seats, like our example here. 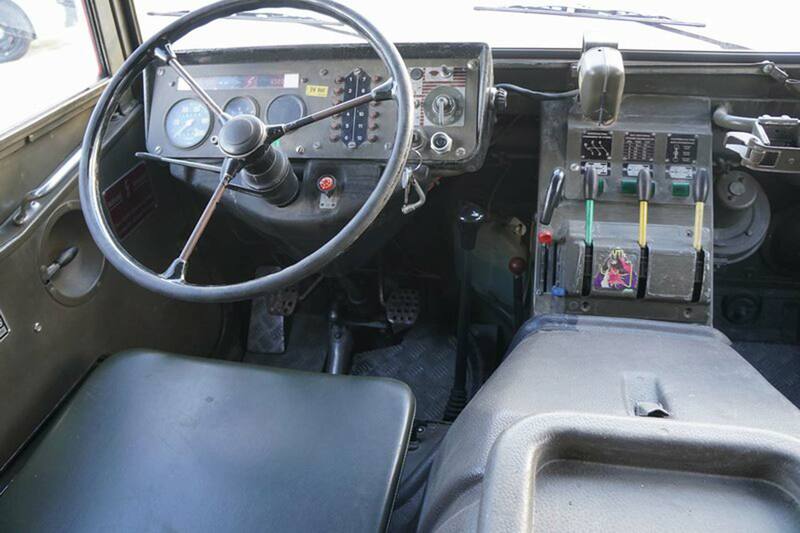 The weight comes from central tube chassis which houses the driveline. The longitudinal engine and five-speed transmission sit forward, but still behind the front axle. A short prop shaft connects to the transfer case mounted ahead of the first rear axle; the case and differentials are integral parts of the tube. The resulting structure is so rigid that U-joints are not used in the drive shafts (inside the tube) that connect to the front or rear axles. Tow hooks are mounted directly to the chassis, which also supports and strengthens the body mounted on top of it. The 2.5-liter engine powering the Graz-built mountain horse was designed for maximum reliability. Low octane pump gas was specified, and air cooling used for simplicity. Two oil pumps were used to combat starvation no matter which way was up, and the waterproof 24-volt electrical system used two 12-volt batteries wired in series. Twin Zenith NDIX carbs were selected, both for their ubiquity (used by both Volkswagen and Porsche, among others) and the fact that in the hands of a competent mechanic, a NDIX can be repaired with a rock. Horsepower was 89 and torque 133 lb-ft in the 1973 model shown here. While that may not sound like much in modern numbers, the 712 was and is incredibly capable: payload capacity is 3,300 pounds and maximum towing 11,000 (on road, 3,970 off). 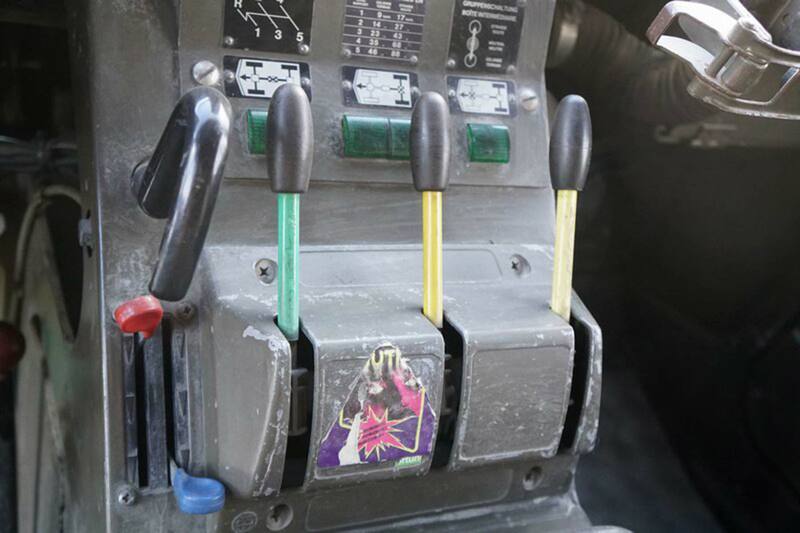 Production of first-gen Pinzies ceased in 1985, with under 19,000 total units of both types rolling off the line. Though still in military use by over 30 countries around the globe, retirements mean the supply is dwindling. Our Swiss example here has already had two full lives before being imported to Arkansas. Pinzgauers in the States used to be cheap, but scarcity and vagaries of currency exchange are driving prices up. This 712M is offered at $23,900, where ten years ago it might have been found for half that. The sale includes a Swiss jerry can, ax, tow cable, jack, wheel chock, tool set, tow cable, and English-language owner’s manual. 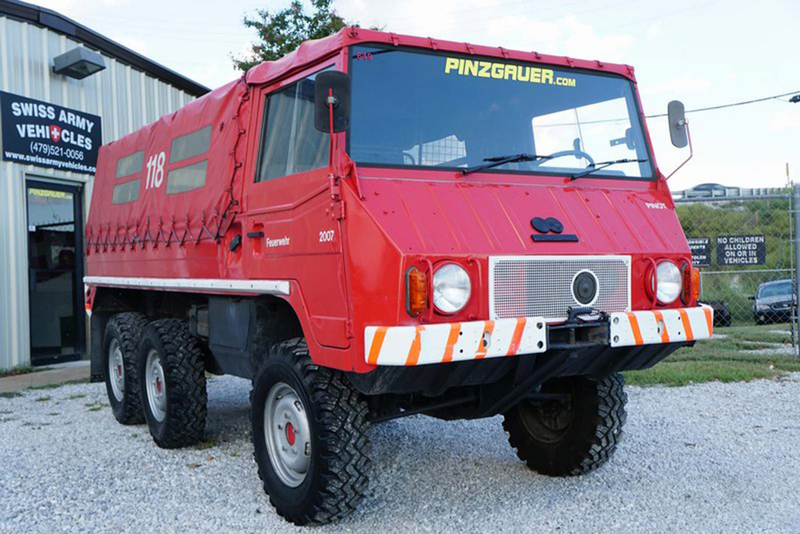 Buy this 6×6 Swiss Fire Truck.